We can all agree that your wait at the ranks for a kombi is most likely going to be interrupted by some toasty sunshine or some bit of drizzle. This is because quite a number of old ranks have lost some essential bits of infrastructure that make them weather friendly. As for the newer ranks well…who needs a shed anyway right? 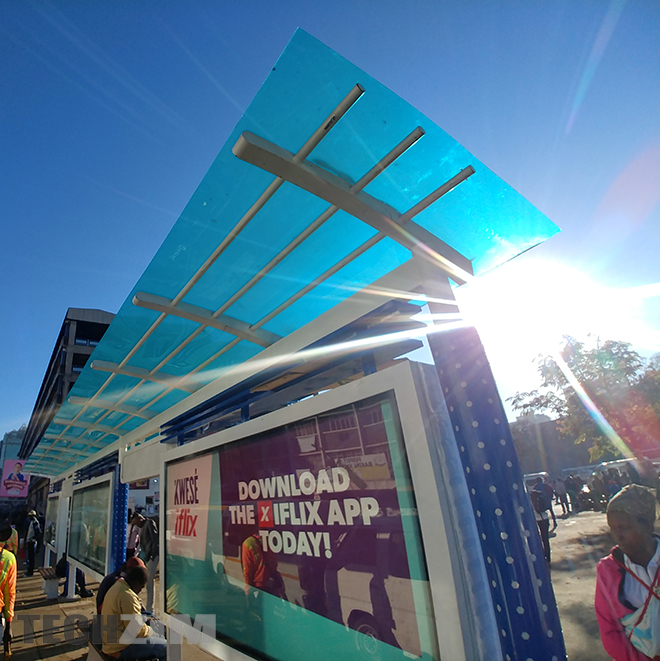 You may remember Satewave from the smart trash cans that they erected in First St in the city of Harare that we wrote of a little while back. 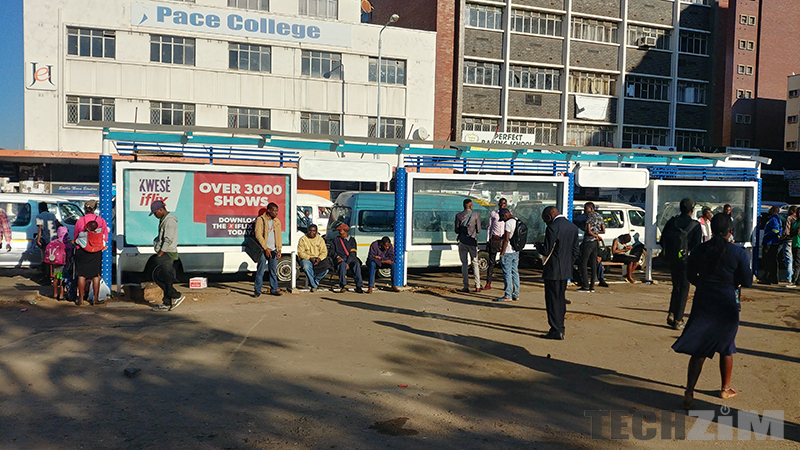 Now they have garnished the Rezende rank in Harare that services Mount Pleasant with a set of fancy looking sheds. When we communicated with them, the idea was to have the sheds fitted with solar systems that would power lights to illuminate them well into the wee hours of the night as well as provide a couple of USB ports so you can get a quick top up while you wait for the next kombi and even enjoy some bit of wifi with their built-in wifi hotspot facility. And it looks like they aren’t just looking at the commuter. The ranks also feature some spacious transparent fixtures that they plan on selling as advertising space. These were the ones they showed us on the company tour they gave us. Talk about killing 3 birds with one stone. However not everything is smooth sailing for them. If you observe, the ranks do not have any solar fixtures ontop of them but rather a tinted perspex sheet as well as no USB ports. According to Satewave, their smart bins, which also had USB charging ports and solar systems, faced quite the fair share of vandalism and no charging takes place anymore. With the rank sheds, they decided to maintain the rest of the design and just hold up on the solar system for now. Its surprising that the transparent perspex advertising boxes managed to remain unharmed for so long given that their current location is usually where riots of the hurling-of-stones variety usually kick off. It’s all happening at pretty subtle pace but it does look like we are headed for a smart city. If you are keen to check out more stuff that Satewave is doing, visit them at the Harare Agric Show.